This is a sponsored giveaway with Mums the Word Network and Jingit. All opinions are my own. A couple years ago, I heard of this free app called Jingit. I wasn’t terribly impressed at the time and only earned a few dollars before I gave up. Little did I know they were going to expand the app and make it pretty awesome! I downloaded Jingit on my phone after not using it in over a year. I couldn’t remember my login information so I had to reset my password..I received the email immediately and was able to log in a minute later. When I logged in, I was pleasantly surprised by the new features in the app! Not only can I watch videos to earn a little bit of money, but there are in-store offers and near-instant cash back offers (like rebates) too! That’s pretty cool if you ask me! 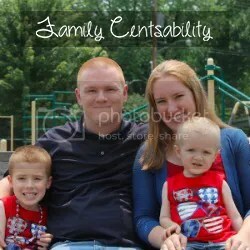 My family has been struggling financially in the past couple months so any extra savings helps. For those of you who are new to the app, the only information you need to sign up is your email address, a password, and your mobile phone number. You can sign up online or in the app. Once signed in, you’ll reach a dashboard of offers. On the phone you’ll see the stores available for in-store offers. On the computer you’ll see videos available to watch and get paid. As I browsed the stores on my phone, I was happy to see there were several that I shopped at, including Walmart! Some of the offers available were 25 cents back on bread, 50 cents back when you purchase Crayola, and 25 cents back on milk. Awesome! With two toddlers, these are products we use on a daily basis. To receive this cash back, you’ll need to scan your receipt so Jingit can verify your purchase. To scan the receipt, you simply follow the instructions and sort of take a photo of it. I’ve had experience with this in other apps so it was nothing new. It’s quite simple though! When in store, you can also earn money by scanning a specific product and taking a short survey. Similarly to scanning the receipt, you’ll follow the instructions and take a photo of the barcode for verification. So you are probably wondering.. how long until you get paid? That all depends. You will need to earn at least $5 before you can cash out. If you redeem several cash back offers, you could reach the $5 minimum in no time! Do you have to cash out once you reach $5? No… you can wait until you build up more money. Another question you probably have – how will you get paid? You can redeem for a variety of eGift Cards. These gift cards can usually be used in store and online. Available at this time are Sephora, Cabela’s, AMC Theaters, and Walmart. The minimum value varies for each gift card. Jingit is a pretty cool app now! I’m really happy with the changes they’ve made and love being able to earn money so easily. Download Jingit and get started here! We’ve talked about earning money through Jingit.. how about winning some money?! Enter below to win $500 cash!